Have you ever had recipe that was so good you just wanted to throw all manners and etiquette out the window and just stick your face directly into it? No? Well, you might want to give these burgers a try to see if that changes your mind. I saw this recipe and couldn’t hardly wait to make them. 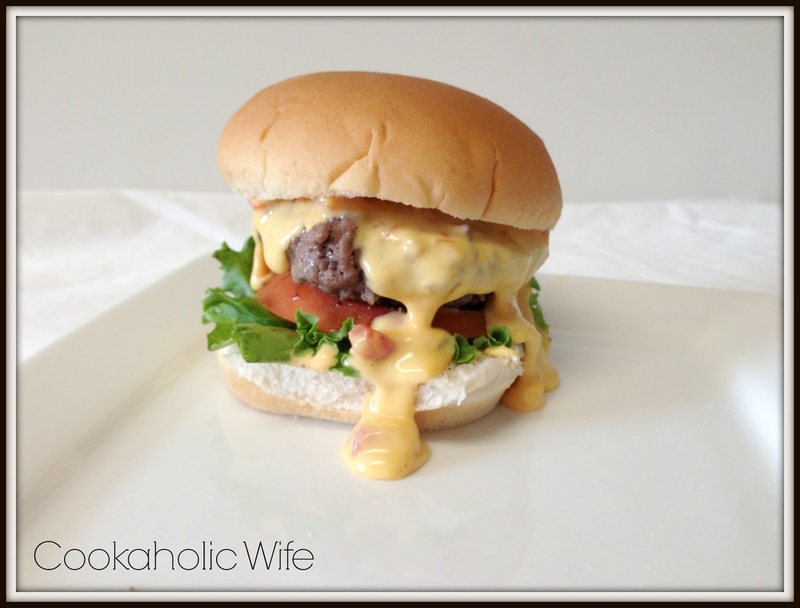 Queso + burgers. How could you go wrong? 1. Preheat a grill to high heat. Form the ground beef into 6 patties and season both sides with salt and pepper. 2. Add Rotel and Velveeta cheese to a small saucepan over low heat. Stir with a wooden spoon until melted, about 5 minutes. 3. Place the patties on the grill and grill for 3-4 minutes on each side or until cooked through. 4. 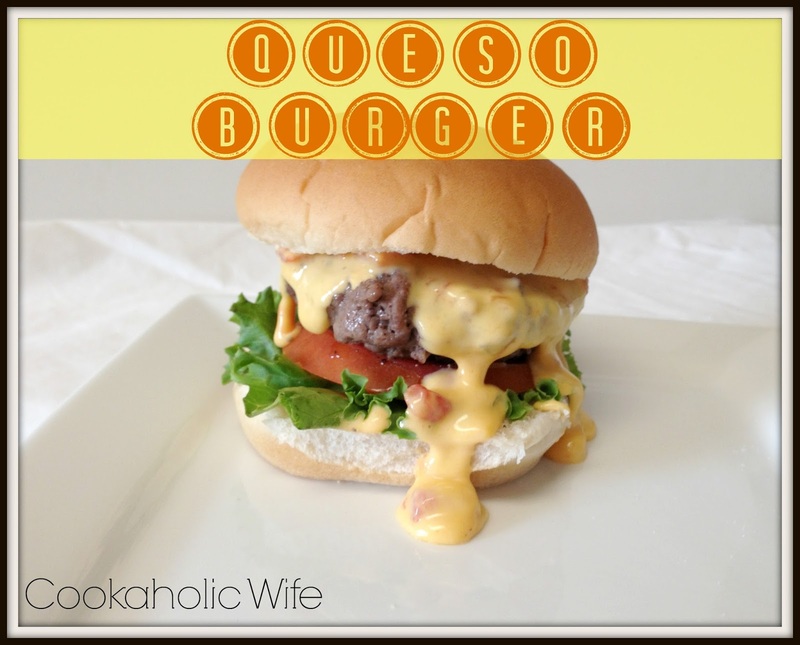 Spoon desired amounts of queso sauce on to each burger bun, top with the burger and any additional condiments like lettuce and tomato. The lettuce and tomato is completely not necessary on this burger. I honestly feel like it gets in the way of the incredibly tasty queso. If you are a big queso fan and are serving fries with this burger, I’d add in a little more Velveeta so you can have some extra queso to pour over your fries. It probably wouldn’t be a bad idea to toast your burger buns before piling them high with queso as well. Oh, and make sure you have plenty of napkins in the house before serving this recipe. Silly me also served corn on the cob with this, so it was one of the messiest (but best) meals we’ve had in quite a while.